For those outside the FinTech sector, blockchain is known simply as the thing that makes Bitcoin happen, if they know about it at all. Blockchain is indeed the technology that powers cryptocurrencies like Bitcoin, but they’re not the same thing, and that distinction is important to recognize. Blockchain has far more to offer than just securing cryptos; distributed ledger technology (DLT) can actually provide the foundation for any number of applications. 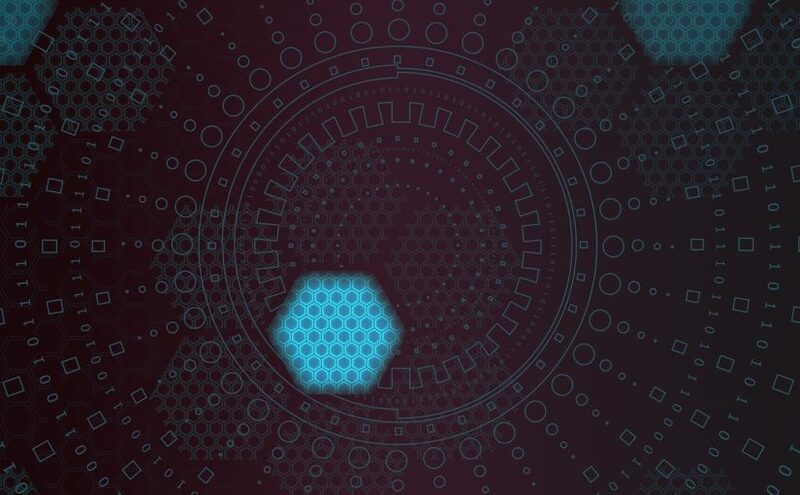 Blockchain enables end-to-end data encryption for the highest level of security and can streamline processes by eliminating the need for third party verification of transaction. Any industry can benefit from these capabilities. Additionally, Bitcoin and other cryptos are still in the bubble stage; value has been volatile, the market has been flooded with new ICOs in the last couple of years and most financial experts are wary of the concept. For instance, billionaire investor Warren Buffet recently stated that Bitcoin offered no intrinsic value and that buyers were “speculating” rather than investing. Jamie Dimon, CEO of J.P. Morgan Chase, has also expressed his doubts about Bitcoin. However, Buffet’s BSNF railroad company joined the Blockchain in Transport Alliance (BiTA,) a group comprising over 200 freight and logistics organizations interested in incorporating blockchain across their industry. Dimon has emphasized that despite his opinion of Bitcoin, he does believe that “the blockchain is real,” and in October, J.P. Morgan Chase launched a blockchain-based system designed to reduce transaction times. Buffet and Dimon’s fellow titans of industry are all recognizing the benefits of blockchain outside of cryptos, which is important when bringing it to the mainstream. A recent IBM study found that one-third of C-Level executives are using or considering blockchain technology in their organizations. Global spending on blockchain technology is predicted to reach $2.1 billion this year alone, according to IDC. Healthcare, real estate, government, arts, energy, cloud computing, ridesharing—you name the industry and you can bet it’s experimenting with blockchain. Faster processing, better data security—what company wouldn’t want those gains? While some are working on developing their own proprietary blockchain offerings, many of the major tech companies and VC firms are backing the concept of shepherding other companies through the process of adopting blockchain. Companies like Amazon and IBM are partnering with blockchain-as-a-service (BaaS) providers to create white label solutions that handle the heavy lifting of implementation for their customers. With the buy-in and sometimes backing of the tech giants, BaaS companies like DragonChain and Kaleido are perfecting blockchain models and creating interchain capabilities to get more and more companies on board. Blockchain has already proven itself as useful apart from cryptocurrency. In fact, in the very near future, look for more pure play blockchain offerings aimed at issues beyond payments and coins. In fact, with over 1500 coins on the market, most emerging ICOs are going to be less valuable currency and more a means of funding. Investors should do their due diligence on this in particular, lest they prove Mr. Buffet’s “speculation” comment true. Ultimately, the growth arc of blockchain will bend toward building this best in class standard of security and trust directly into systems by using blockchain, rather than relying solely on methods like marketing and customer service to build trust with customers. End-to-end encryption, decentralization and consensus—these things will become the default in the post-blockchain era. Even when/if the crypto bubble bursts, blockchain will not only stand on its own, but define the next generation of data management.